The number of profit warnings posted by publically listed companies reached 75 in the first quarter of 2017, according to business consultants EY. That was two more than in the previous quarter but one less than in the same period a year previously. The FTSE sectors issuing most warnings were support services (11), travel and leisure (8), non-life insurance (5) and software and computer services (5). 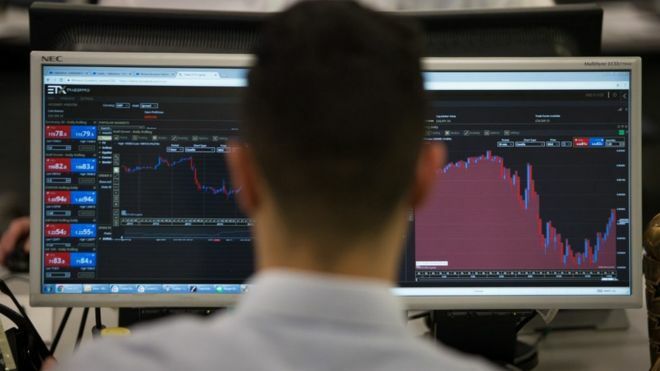 Firms must warn when earnings look like being less than previously expected. The report says profit warnings from industrial and commodity sectors have fallen significantly since the end of 2015, helped by an improving global economy. But it says the impact of a weaker pound and rising pricing pressures “loom large”. Some 28% of warnings cited rising costs and pressure on prices, compared with 15% in 2016. And another 28% of warnings cited contract delays or cancellations. “Improving global growth and the positive impact of a weaker pound on exports, combined with falling expectations in stressed areas, should limit the number of profit warnings in the near-term,” said Alan Hudson of EY. “However, increased overheads, political and regulatory change, and digital disruption are piling pressure on sectors with long-standing structural issues, especially in consumer and business services.